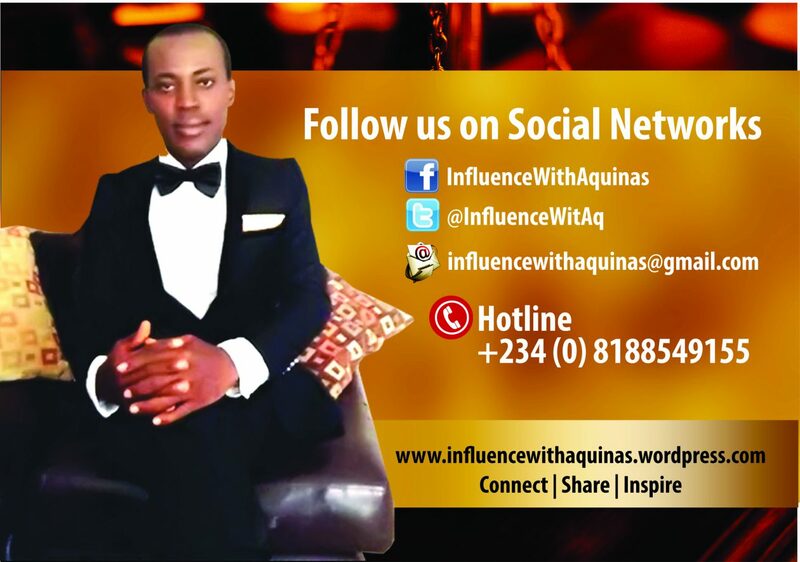 Welcome to Breaking News ‘International Focus’ on influence, I am Joe Philip. Everyday, we swing round the world through investigative field-force to bring you the latest and trending updates around the globe. Today from our international desk, I bring you updates on global events and stories. Enjoy the moment! Three-time heavyweight champ Muhammad Ali, who charmed millions with his wit and confidence in the ring and inspired many more with his commitment to humanitarian causes has died, according to the family spokesman. He was 74. “After a 32-year battle with Parkinson’s disease, Muhammad Ali has passed away at the age of 74. 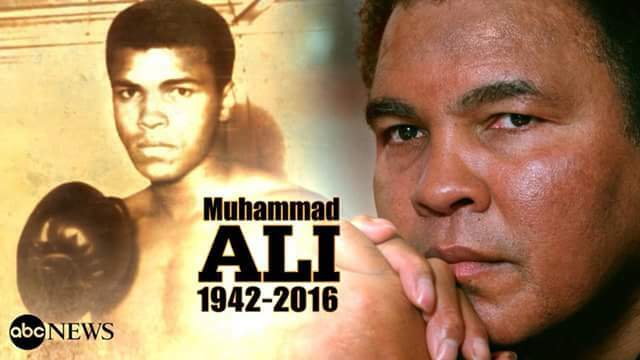 The three-time World Heavyweight Champion boxer died this evening,” said family spokesperson Bob Gunnell. Ali had been hospitalized for a respiratory issue June 2. At the time, a rep said he was in fair condition. One of the greatest fighters in the history of boxing, Ali retired in 1981 after losing to Trevor Berbick in his 61st career bout. Soon thereafter, Ali — who doctors said had begun showing signs of sluggishness and neurological damage in the 1970s — began receiving treatment for Parkinson’s disease. Ali, who called himself “The Greatest,” was married four times and had nine children, including daughter Laila, who also became a professional boxer. Ali and his fourth wife, Yolanda “Lonnie” Williams, had been married since 1986. 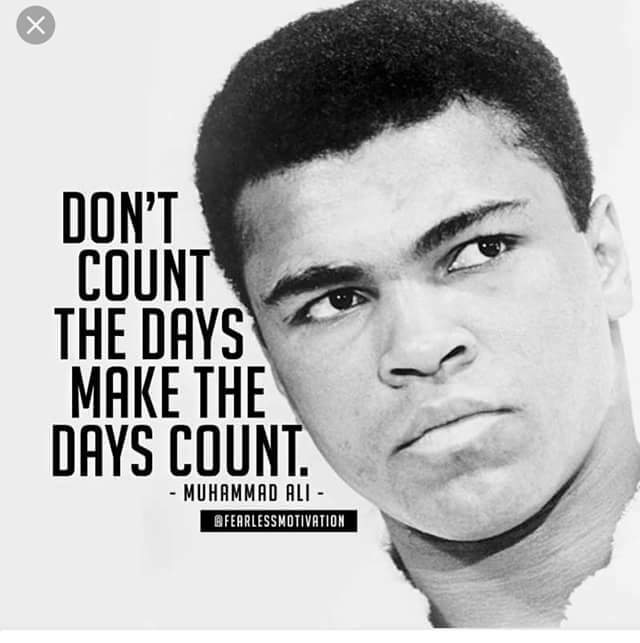 Born Cassius Clay on Jan. 17, 1942, Ali first stepped in the ring at age 12 in his hometown of Louisville, Ky., after his bicycle was stolen and a police officer suggested he learn how to box. Ali went on to become one of the most successful athletes and revered public figures in history. Acclaimed for his quick, dancing style as a fighter, Ali also blended a unique mix of political activism and personal conviction that won him international recognition outside of the ring. After winning 100 of 108 amateur fights, Ali took home an Olympic gold medal at the 1960 Summer Olympics in Rome. He later allegedly chucked the medal into a river after a waitress at a soda fountain in Louisville refused to serve him because he was black. 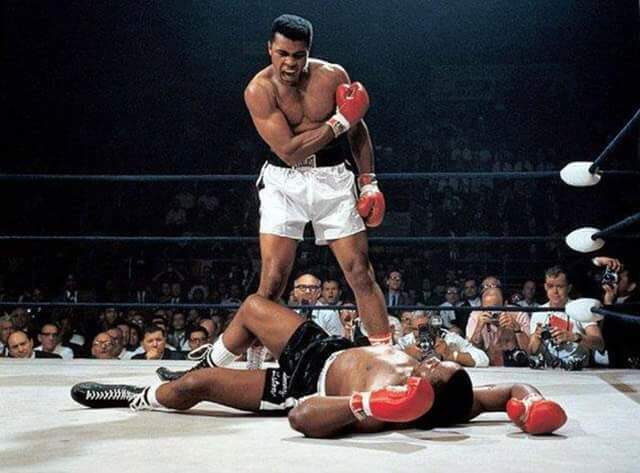 The brash, underdog Ali promised boxing fans he’d “float like a butterfly, sting like a bee” against Sonny Liston. At age 22, he stunned the larger Liston, beating the champ in seven rounds in Miami to win his first heavyweight title. In their next match in 1965, Ali floored Liston with a hard, quick blow minutes into the bout and retained his crown when the referee stopped the fight. With one Olympic gold medal and a heavyweight belt to his credit, Ali soon began making headlines for his religious and political beliefs. Inspired by black rights activist Malcolm X, he converted to Islam and changed his name to Muhammad Ali in 1964. When he refused in 1967 to serve in the U.S. Army because of his religious convictions, Ali fended off sharp criticism from a nation that was raw from the dividing forces of the Vietnam War and the civil rights movement. Ali was stripped of his heavyweight title in 1967, fined $10,000 and sentenced to five years in prison for draft evasion. That conviction was overturned by the U.S. Supreme Court in 1971. The outspoken champ faced Frazier one last time in an Oct. 1, 1975, bout dubbed “The Thrilla in Manila.” Ali defended his title by stopping Frazier after an exhausting 15 rounds in the Philippines. The Ali-Frazier fight trilogy is generally regarded as the finest display of boxing in the history of the sport. On Feb. 15, 1978, Ali lost his heavyweight title to Leon Spinks, but beat Spinks seven months later to reclaim the crown. He finished his career in 1981 with a record of 56 wins (including 37 by knockout) and five losses. Though gone from the ring, Ali entrenched himself in charitable work and humanitarian causes — from serving as a United Nations “Messenger of Peace” to supporting hunger and poverty relief. He appeared on the lecture circuit, although the frequency of his appearances lessened when his speech began to slur from his advancing disease. The father of such memorable quotes as “The man who has no imagination has no wings” provided one of the lasting images of the 1996 Summer Olympics in Atlanta. Before a worldwide audience, he made a surprise appearance at the Games’ opening ceremonies, where, his hand shaking from Parkinson’s tremors, he took the Olympic torch and lighted the stadium cauldron. And at the London Olympics in 2012, he was again a participant in the opening ceremonies. In 2005, he was awarded the highest U.S. civilian honor, the Presidential Medal of Freedom.